A new event has been added for the 7th of September it will feature Charity recieving a cheque from Bob the mascot from Cartridge World, it will also feature a dance-off between Charity and Bob so look forward to it. A date to put in your Diary is Thursday 22 September when we shall be having a Focus day at the Society in our new home! Two companies will be demonstrating equipment for visually impaired people from 10.30am to 2.30pm. Optelec will be demonstrating a variety of portable and stand alone magnification products that can help visually impaired people read their correspondence and even see pictures, thus leading to greater independence. Dolphin will be demonstrating their Guide software which is an all in one computer software package with built-in speech and screen magnification which makes it an ideal choice for anyone who is blind or partially sighted. So why not come along, have a cup of tea, have a look at our new premises, meet with other people and check out the new equipment that is available on the market; it will be lovely to meet you. Don't forget to come to our new address!! so bring your friends for a great candle lit night!! On 15th May, a group of 8 volunteers and staff took part in the BUPA Great Manchester Run. Family and friends sponsored them to complete the 10k course through Manchester city centre, and collectively they raised over £1,500 to date for the Society. This was a fantastic achievement particularly for Alan Norman, who, only last year underwent a triple heart by-pass operation. We will be accepting sponsor money up to the end of June, so there is still time to acknowledge this wonderful achievement, just contact Debbie Edwards on 0161 763 7014 for details. 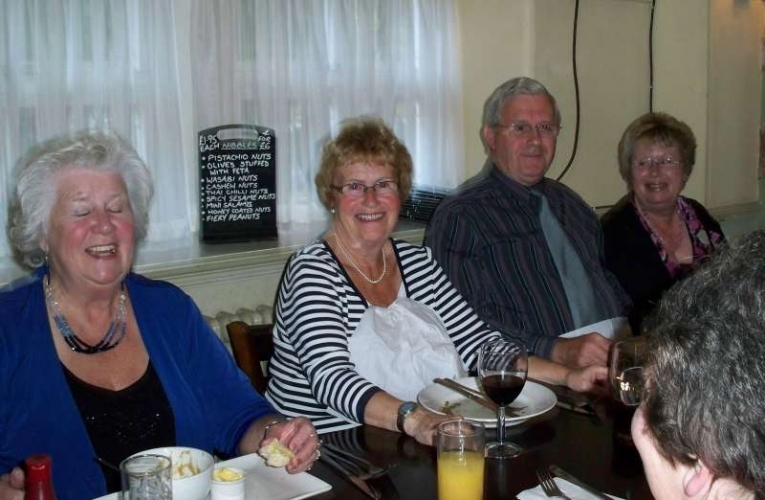 On 23rd March the Society held a Chocolate themed party for Members at the Resource Centre. During the evening which was attended by many members, volunteers, directors and staff, there was a quiz, Ferrero Rocher eating competition and raffle as well a huge selection of chocolate ‘goodies’ to eat. Tracy Marno compiled a quiz where all the questions and answers were related to chocolate, the person who got the most correct answers was Liz Gerrard, who received – you’ve guessed it – a box of chocolates as her prize. 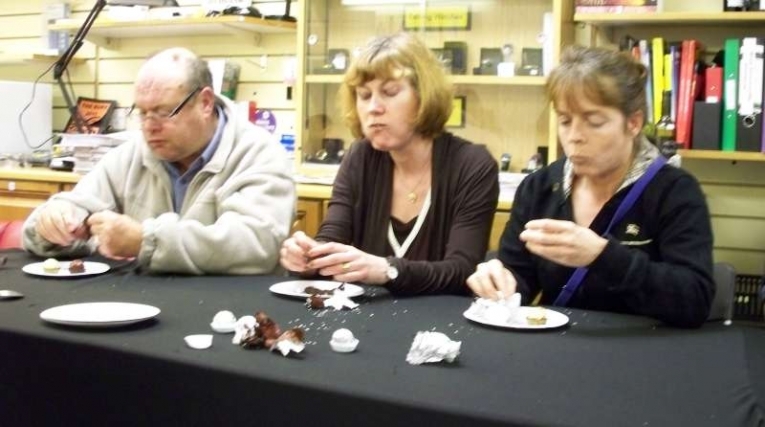 Contestants who entered the chocolate eating competition had to eat as many Ferrero Rocher as they could in one minute. This year there were 6 hopefuls who gave their all to win the title, and the winner, Sue Doherty, managed 6 in a minute which was 1 more than last years winner. Who knows, maybe next year we could have a record winner for the Guiness Book of Records! The Society’s second annual Quiz Night took place on Friday 11th March at the Mosses Centre. 24 teams of 4, highly competitive people answered 6 rounds of general knowledge questions on a wide range of subjects including sport, music, television and food & drink. Half way through the evening competitors took a well deserved break for a drink, a Pie & Pea supper and the Raffle draw. When all the rounds were completed, the team with the highest score at the end of the evening were ‘Royals Rotary Rogues’ who were presented with the Society Quiz Trophy. The winning team was made up with members of the Radcliffe Rotary Club, and at the end of the evening they presented the Society with a cheque for £50 which we very much appreciate. 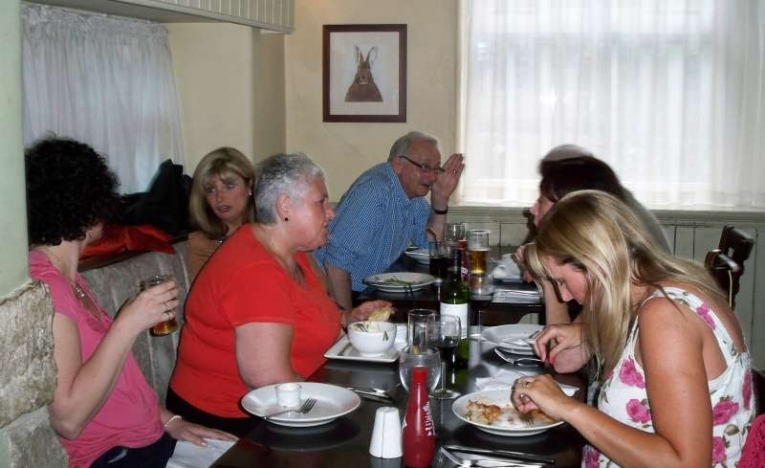 The other teams were made up of Members, Volunteers, Directors, Staff, family and friends, and as well as a great fun night out which everyone enjoyed, almost £500 was raised for Society funds. On the 3 days leading up to Mothers Day, the Society’s Gift wrapping service proved very popular with shoppers in the Millgate Shopping Centre. The event raised almost £800 in total, helped very much by the ‘bottle’ Tombola and personal appearances by Charity, the Society mascot.